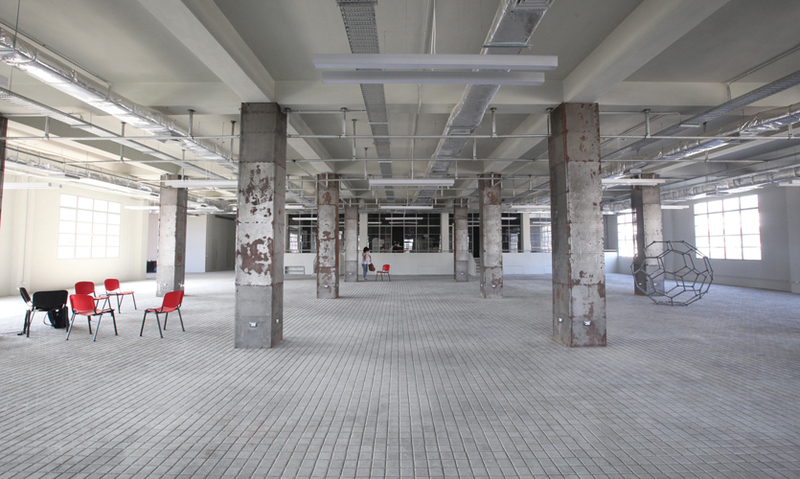 The Ashkal Alwan Home Workspace is a scholarship-driven contemporary arts school and artist residency space that opened its doors to students in 2011. The space provides a tuition-free program for 15 young artists and cultural practitioners to work for 11 months alongside a resident scholar. 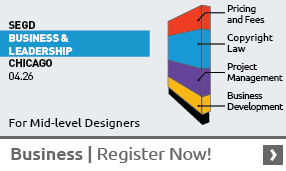 The initiative (including the design of the building) is entirely funded by donations from organizations and individuals. The school needed a way to recognize these donors and invite others to contribute. PenguinCube SAL was tasked with creating a low cost, low maintenance, but impactful donor recognition element that would reflect the unassuming and raw character of the building. 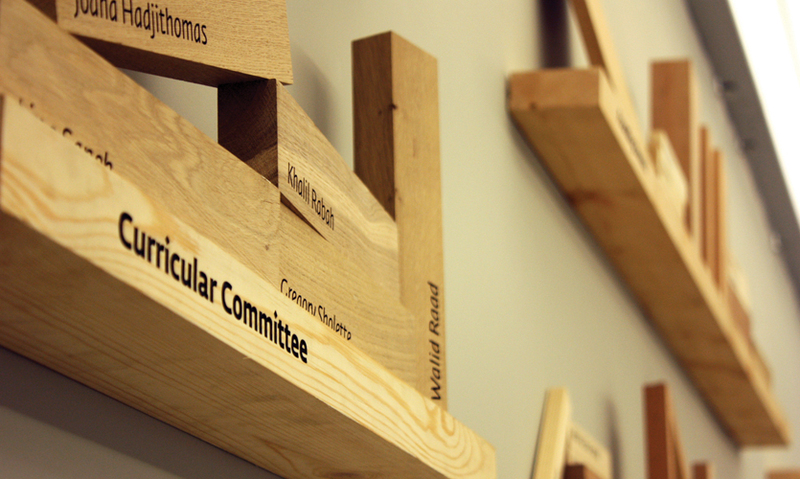 It also needed represent the multi-layered complexity of activity occurring in the school and promote the importance of ongoing donations to keep the space alive. 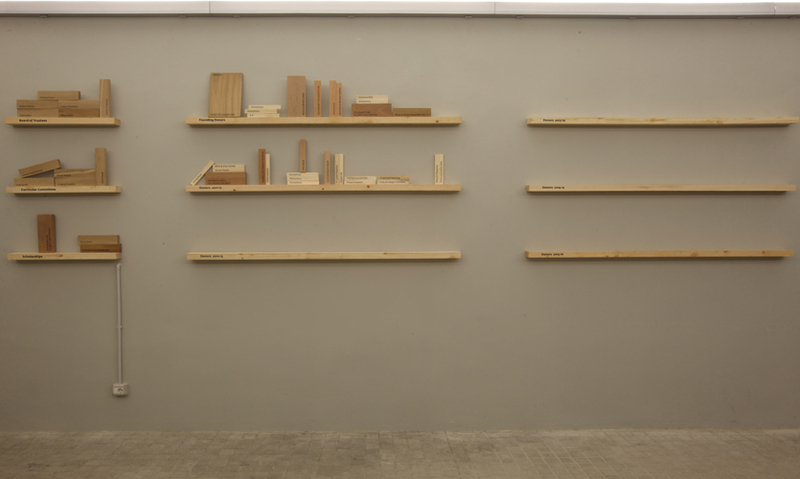 The concept of the bookshelf emerged from the idea that each of the donations is an important contribution to education and research, and what better way to represent this than through one of the oldest and most grounded methods of providing education—the book. 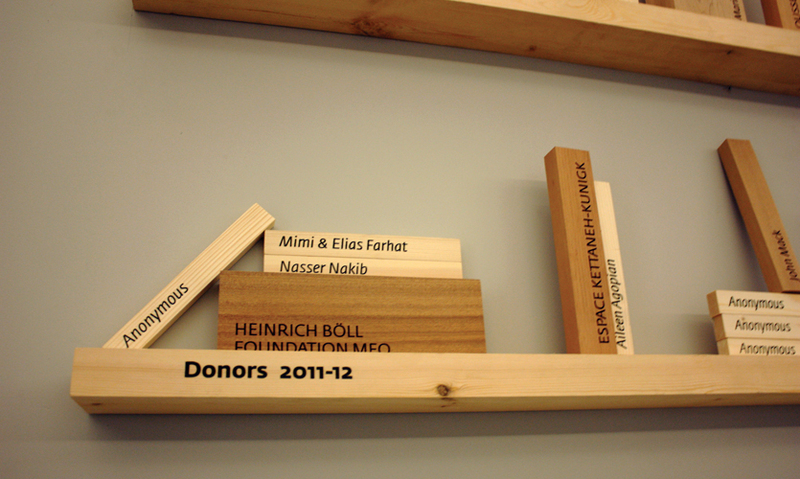 Each donor name was engraved into wooden blocks ("donor books"). 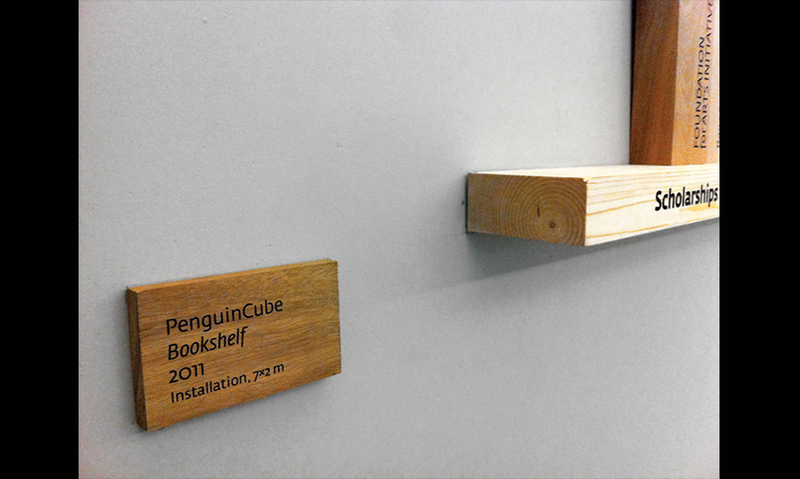 Following the rawness and simplicity of the space, the PenguinCube team opted for a mill finish on the blocks and a basic engraving technique. 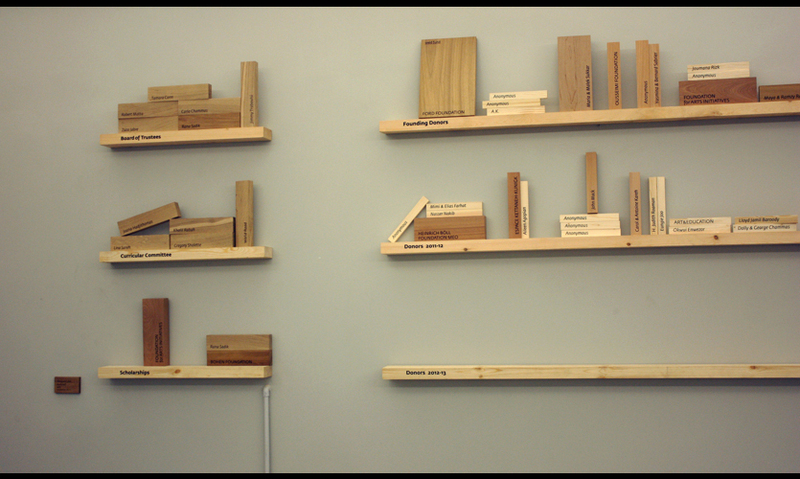 The blocks were shelved in a simple matrix: one shelf per year, each shelf displaying the donations given that academic year. 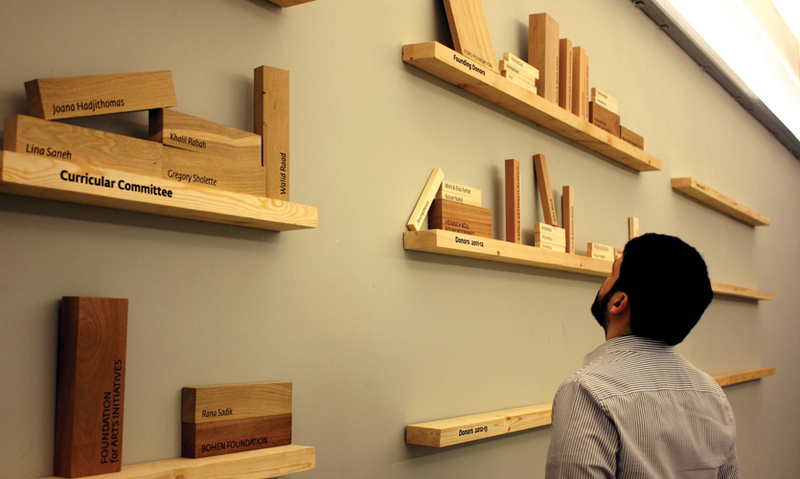 Each donation was then categorized by size and reflected in the size and type of wood used. 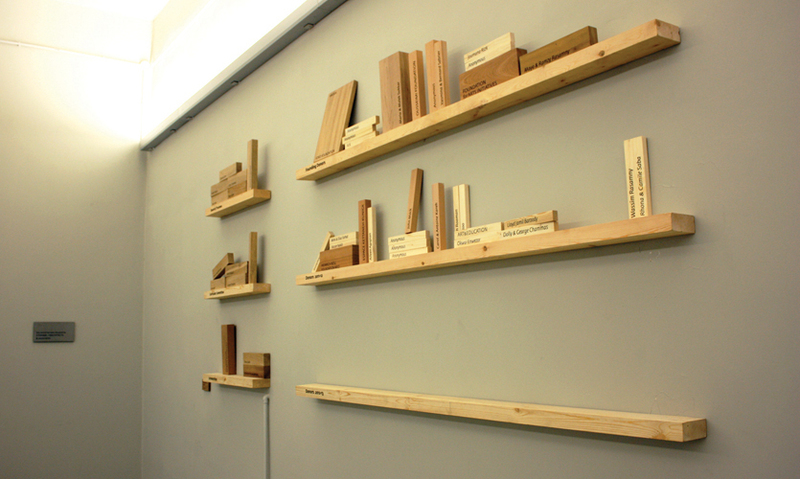 Six different types of wood—from the more valuable American walnut to cherry, acajou, red cedar, hêtre, and pine—were chosen to represent in a subtle yet effective way the different categories of donations. The larger the donor book, the larger the amount donated. "A donor should be humble as they are rising above themselves to say what is good and important. To honor them should be a moment of greatness, yet realizing that core respect. This installation does this so well on so many levels that it is nearly high art."